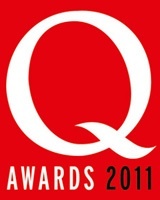 Find out Why Music Matters to the artists at this years Q Awards including NOEL GALLAGHER, ED SHEERAN, EMELI SANDE & more! A host of celebrities on the red carpet of the Q Awards on Monday all opened up about why it is that Music Matters to them. The artists including Noel Gallagher, Ed Sheeran, Emeli Sande and Matt Cardle are the latest to show their support for the Music Matters campaign, which seeks to engage music fans directly, highlighting the value of music and raising awareness of legitimate online music services. On the campaign website at http://www.whymusicmatters.org there are already a number of well received animated films from artists such as Elbow, Paloma Faith, Sigur Ros, Bernard Butler, Kate Bush and most recently The Beatles. Whilst Music Matters encourages artists to comment on the enduring value of music and what it means to them, it also looks to involve the public. This phase of the campaign aims to significantly ramp up online consumer engagement by asking music fans to directly get involved and pledge their support. The Music Matters campaign was first launched in March 2010 as a credible artist driven campaign. In its first year it has attracted unanimous support from all sectors of the music industry – managers, all four major record labels (Universal, Sony, Warners and EMI) and independents, publishers and retailers as well as some of the worlds most loved artists. In recent times technological advances mean that music is more readily available and accessible than ever before. 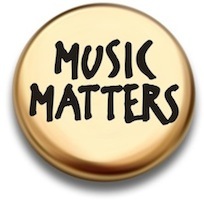 Music Matters aims to start a conversation to get people thinking about how valuable music is, where they get their music from and through this make the right ethical choices when consuming music.